Just click the link below each photo to go to the post with the pattern. 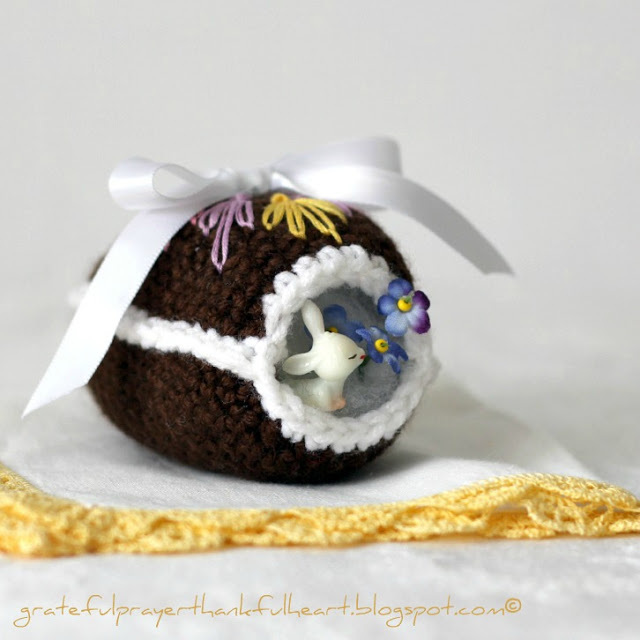 Using dark brown yarn for “chocolate” and “white” for frosting, I created a diorama egg so like the ones that filled my childhood Easter basket. A little embroidery is similar to the edible decorated eggs. 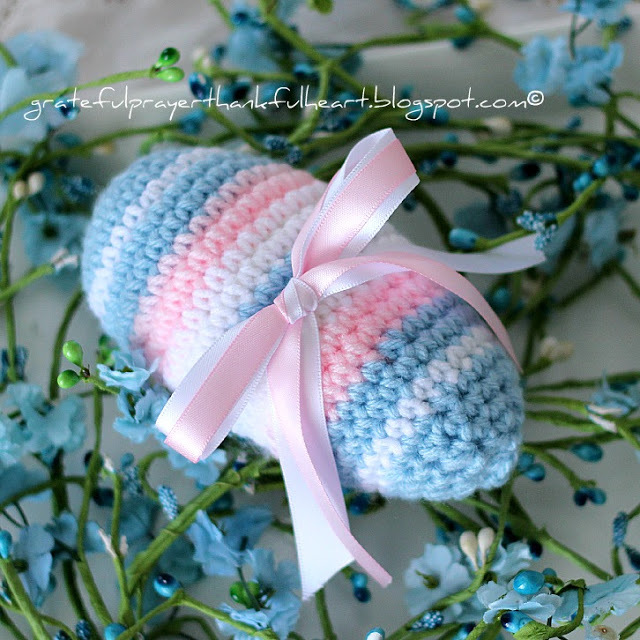 Crocheted in pink and blue, this little egg is sweet for a new baby. Made in two parts, this egg is hinged and can be filled with candy treats or a small toy, then tied closed. Not a crochet project but so perfect for Easter. 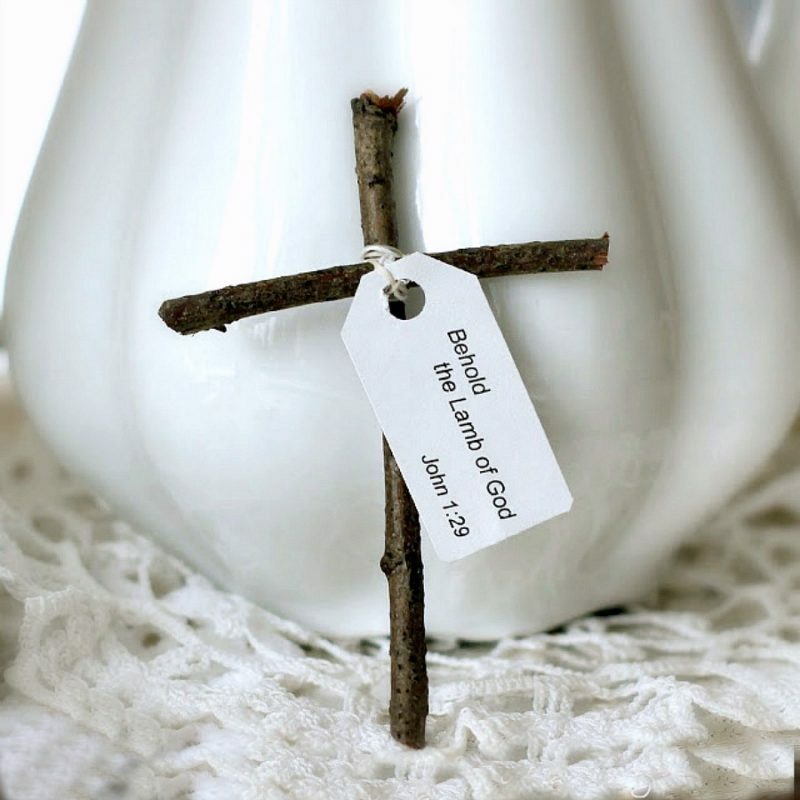 The little cross, made from twigs, appears each year as a cake topper. I love its humble simplicity declaring the gospel. These are just too cute! A whole basket of them would be lovely! 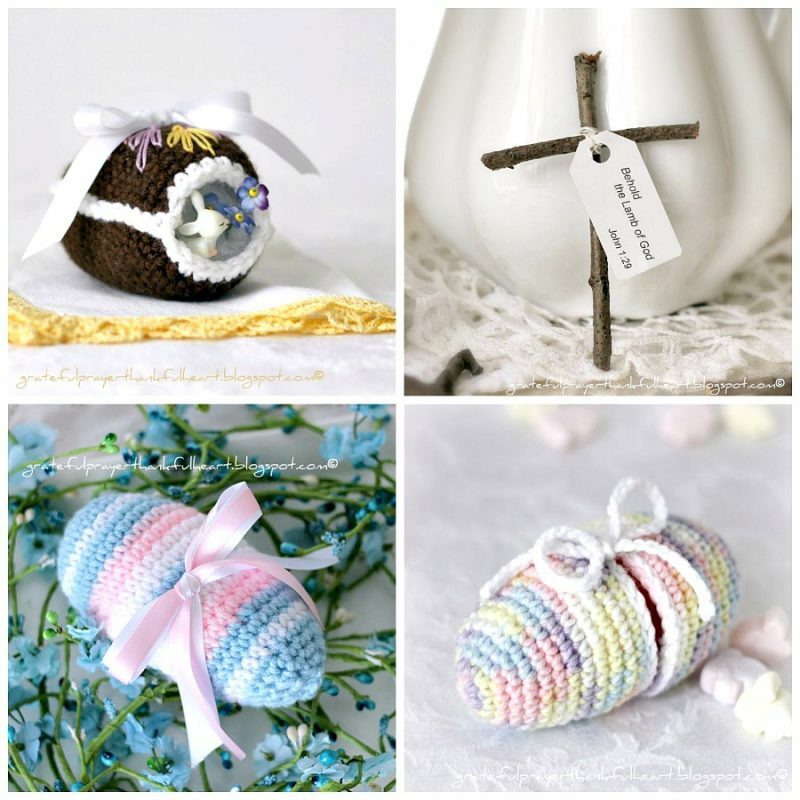 Sweet, little crocheted eggs that tell an incredibly amazing story, are so special! I admire your skills in this area, and the longer I know you, the more I learn what a truly gifted friend you are! Happy Easter to you and your dear family! These eggs are delightful! Happy Easter. 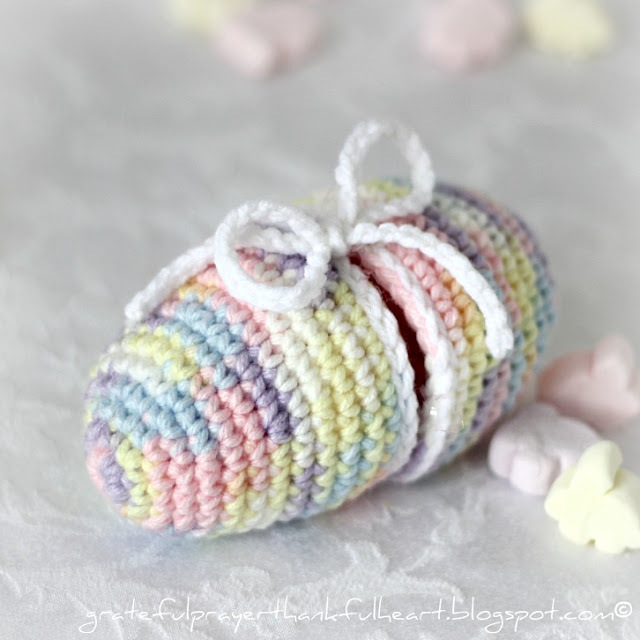 The crochet Ester eggs are simply adorable and unique, specially because they hold memories of your pregnancy with your first baby, no less! A basket full, wow sweet friend; at least is child proof, lol.. Thank you for your kind visit and I do hope you are very blessed by the Lord this Easter Season and always. A basket full – what a lovely treat for the little ones, as they are eggs that can take some handling. Happy Easter! Very nice eggs. I love that little twig cross. So pretty and sweet and they look like they would be easy. Thanks for the tutorial. I shared it with our mentee girls who just learned to crochet last week!